Hello, I need help with an algorithem called LIFE. 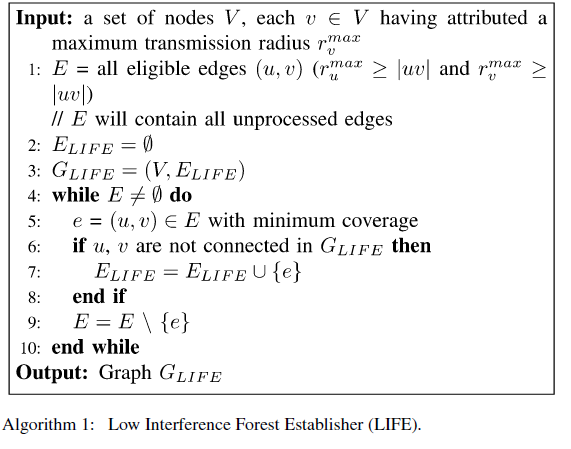 LIFE stands for Low interference forest establisher. I need to understand what this algorithm does then build a matlab code for it. Any help would be nice.